As an avid fan of cool new tech and the love of music production (live or in the studio), Logitech’s news in the advancement of PERSONAL sound monitor requirements: “Ultimate Ears Personal Reference Monitors” puts a big ole smile on my face. These ear monitors are specially engineered to cater for your exact needs for fit, look and sound all rolled into one, the Ultimate Ears Personal Reference Monitors were specially created in order to deliver an experience which is touted to be as personal as your passion for music. Just how does a pair of the Logitech Ultimate Ears Personal Reference Monitors come about? For starters, it will begin with the use of Logitech’s exclusive Personal Reference Tuning Box, where it enables you to precisely adjust the sound signature of the monitors depending on your listening preferences. The Personal Reference Tuning Box is capable of capturing your adjustments to the mix of highs, mids and lows, and from there, Ultimate Ears engineers will be able to utilize the collected information to craft a pair of Personal Reference Monitors that you can call your very own, boasting a sound signature that is based on those exact settings. Boasting Logitech’s proprietary five-armature design, a three-way crossover circuit and triple-bore sound channels, the Ultimate Ears Personal Reference Monitor also comes with a detachable, low-profile, low-distortion cable that does away with the burdensome Y-joint connectors, where it will remain tightly braided to reduce friction, unraveling and tangling. In terms of performance, how does the Ultimate Ears Personal Reference Monitors fare? It will deliver 26 dB of isolation and passive noise cancellation, which is similar to other Custom In-Ear Monitors, being compatible with wireless transmission systems for the stage as well as portable media devices. What sets it apart, however, would be a quartet of custom fine-wood face plates which is available exclusively to Ultimate Ears Personal Reference Monitor customers. 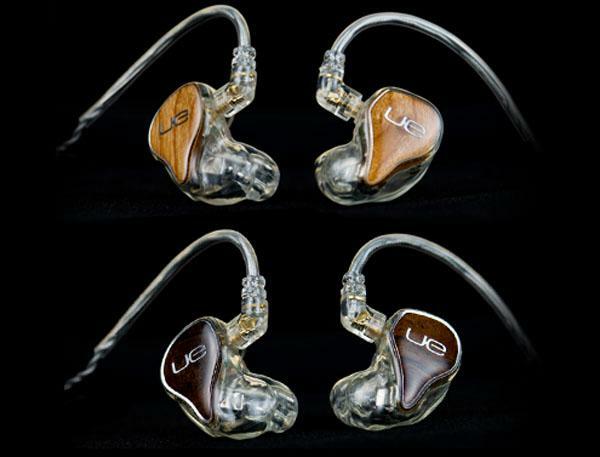 The Ultimate Ears Personal Reference Monitors are toÂ be available in the US by the summer. The asking price is $1,999.99, I personally believe that price will drop as they grow in popularity. Lets not freak out on the price, it is no different than buying a guitar, that costs $5-700 dollars and it will sound ok, but if you invest in a 50th Anniversary 1959 Les Paul Standard for $5500 the 2 instruments are universes apart. The same goes for personal sound monitors.